I am stumped about a title so I had to go with this. 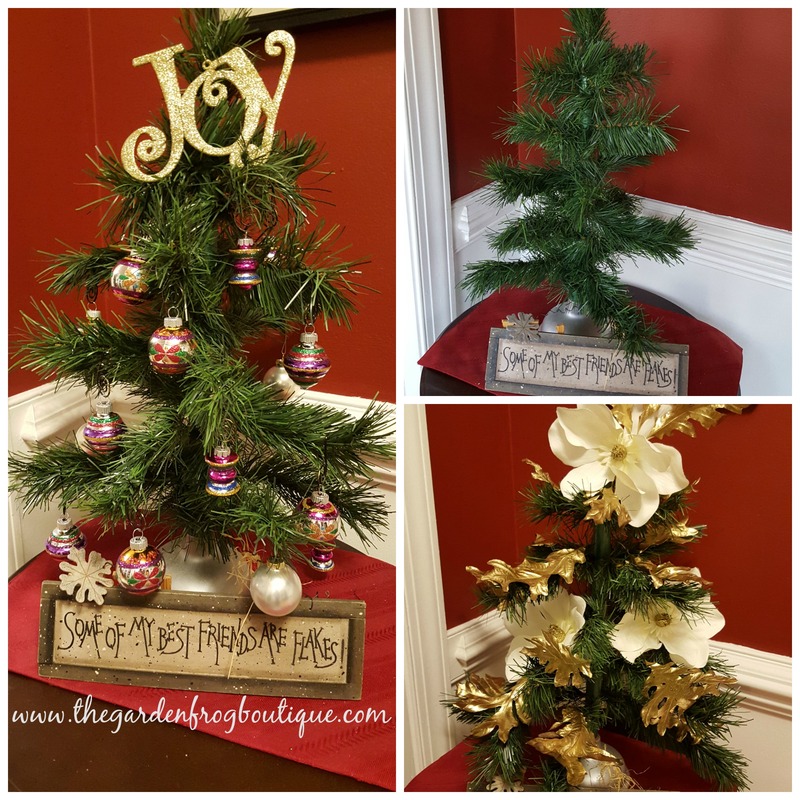 What I wanted to say was create a tabletop Christmas tree from a dollar store plunger and some wire garland (but that title was way too long). 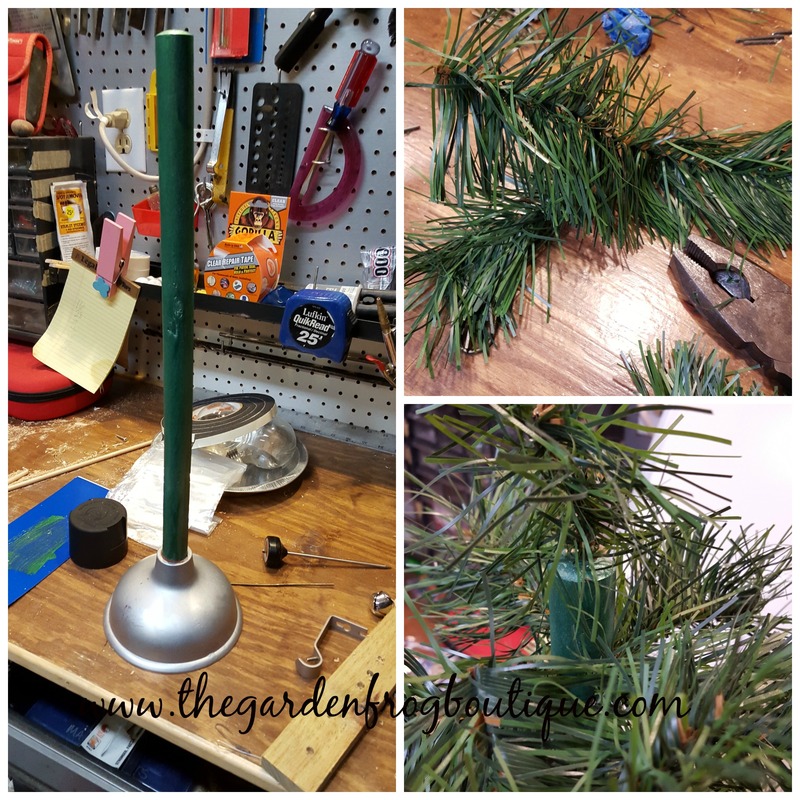 Yes, I am making another tabletop tree out of a toilet plunger but this time I am using some wired garland that I forgot I had in a tote. 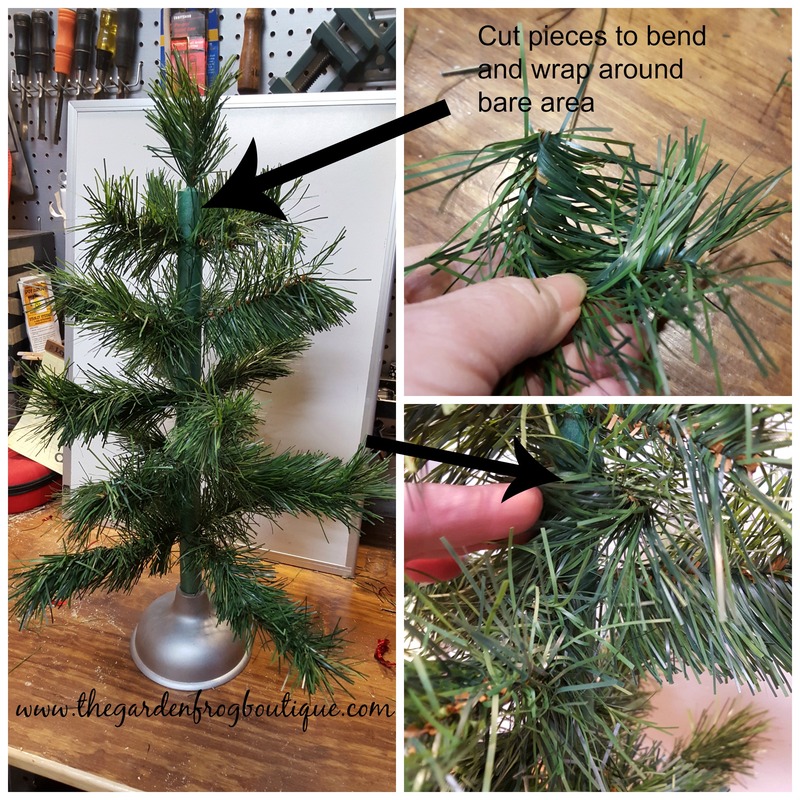 If you do not have any Christmas garland that is made with wire and somewhat stiff, you could probably find some at the store on sale. There is a role of thinner wired garland at the Dollar Tree but I am not sure if it would hold ornaments. I have thicker wired garland so the longer branches worked but I am thinking if I make another one to knock off an inch on each level except the top branches which are 3″. This is an easy craft idea that the kids could help to create. They could paint the plunger handle with craft store acrylic paint. 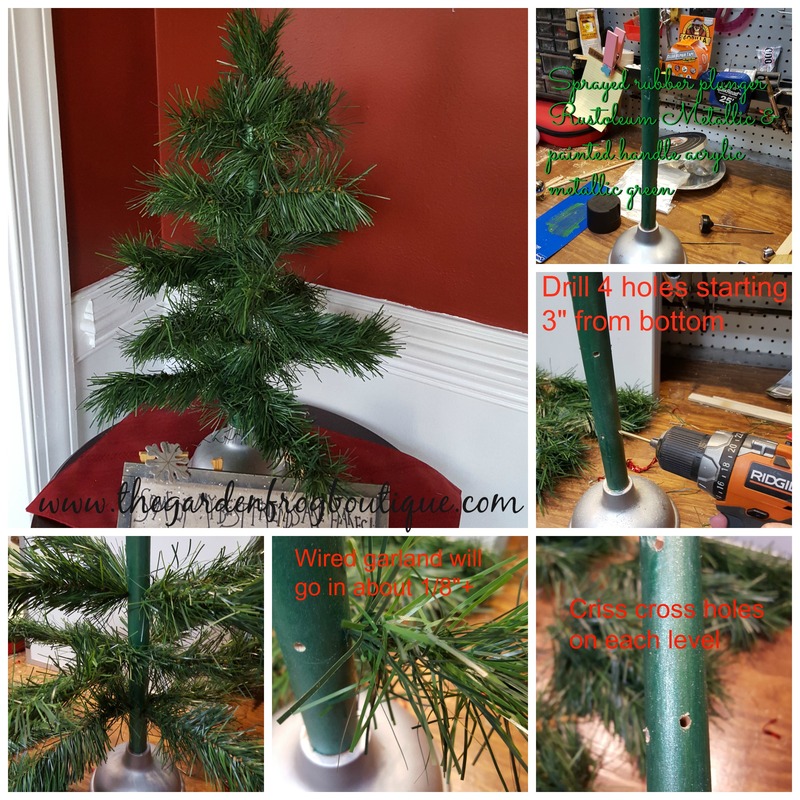 The plunger can be spray painted or have the kids paint it with craft paints and/or make a tree skirt. 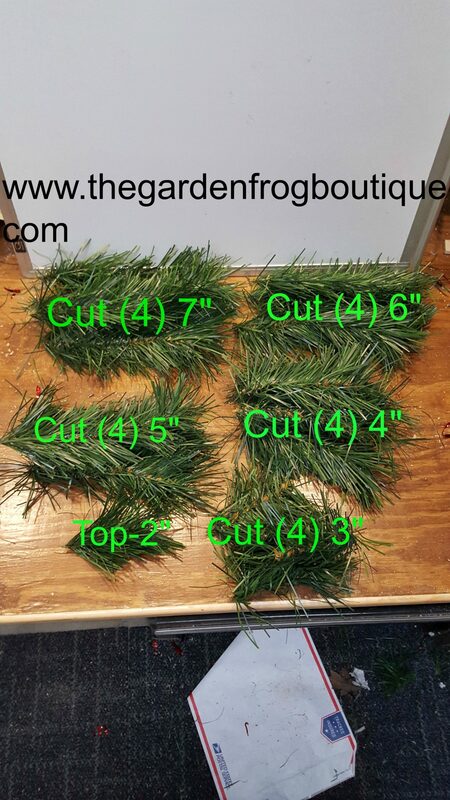 At the end of the post I have a picture of the measurements for the garland. You will need to drill the holes and cut the wire garland with wire cutters (for smaller kids) but sticking the branches in the holes and putting together the puzzle should be easy.I drilled 4 holes per level and alternated or criss crossed the holes on each level so the holes would not line straight up and down the plunger handle. I measured 3″ up from the bottom and top of plunger and every 3″ until I reached the top. I even drilled a hole in the top of the plunger handle for a piece to stick in the top. Note: to figure out what size hole to drill, I drilled several sizes to see which hole held the wired garland snug. Do not worry if you drill through the plunger handle because you will only poke the wire garland halfway through. Then to hide some of the handle, I cut 3″ pieces and wrapped them around above each level of branches. At the bottom I cut a 5″ piece and wrapped it around twice to cover above the plunger. I think wrapping the handles makes the tree look more finished just like the big artifical trees. I love creating projects from inexpensive items and upcycling when I can. 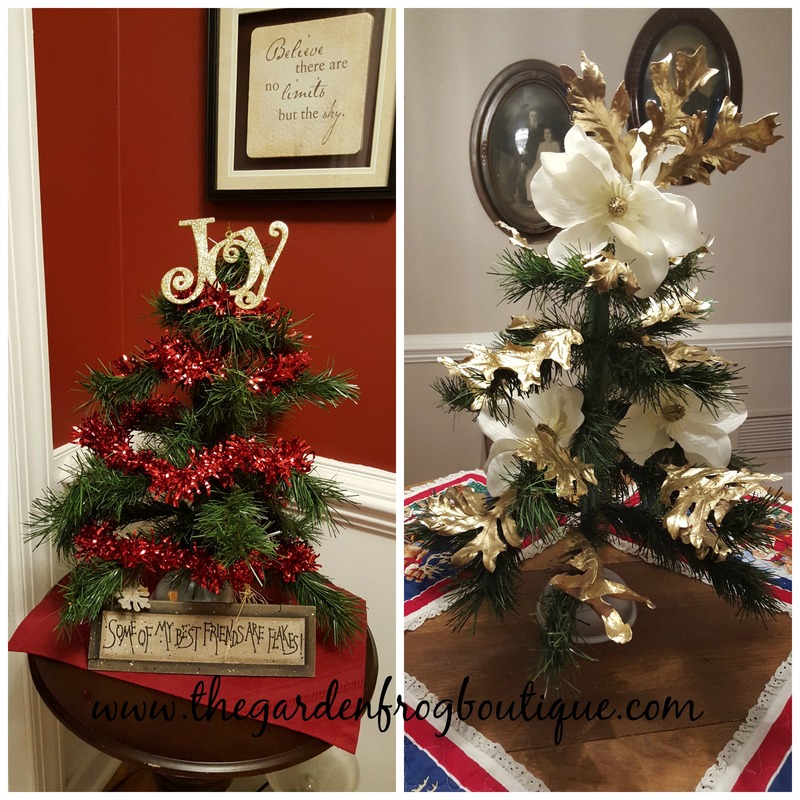 You can check out my other Christmas craft ideas too. Thanks for stopping by!